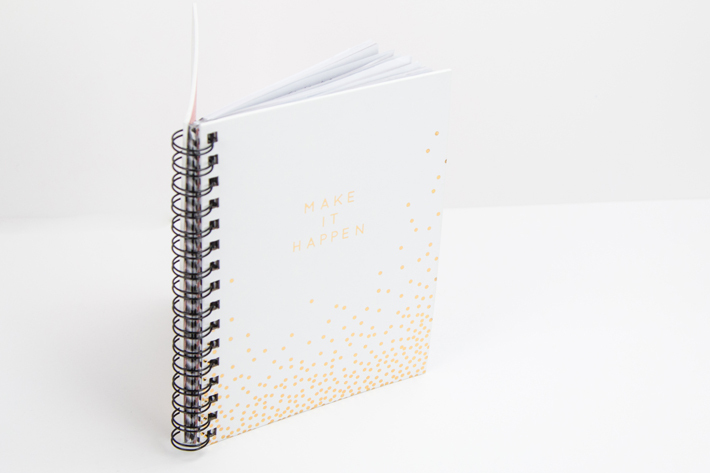 Working as Heidi Swapp's Customer Service representative I get a lot of questions about the differences between each of Heidi Swapp's 2016 Memory Planners. With there being 6 different ones in stores now, this might help you decide which one is perfect for you. 1. Memory Planner Boxed Kit Beautiful with Gold Foil - This large ringed gold spiral bound memory planner comes in a kit with stickers, paper clips, notes, tabs, washi tape, date stickers, and cards. This kit was available exculsively at Michaels stores during the 2015 holiday season. The layout of this planner is exactly like the Gold Polka Dot Memory Planner (see below), yet, there are slight differences in the dividers. The dividers are created with thick cardstock and have some beautiful gold foil through out. 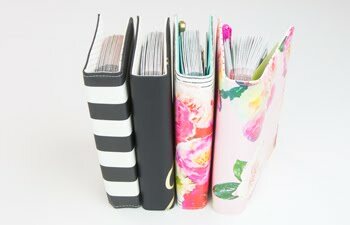 The spiral is large so that you have plenty of room to add to the planner without worrying about the spine. I use this as a work planner. 2. 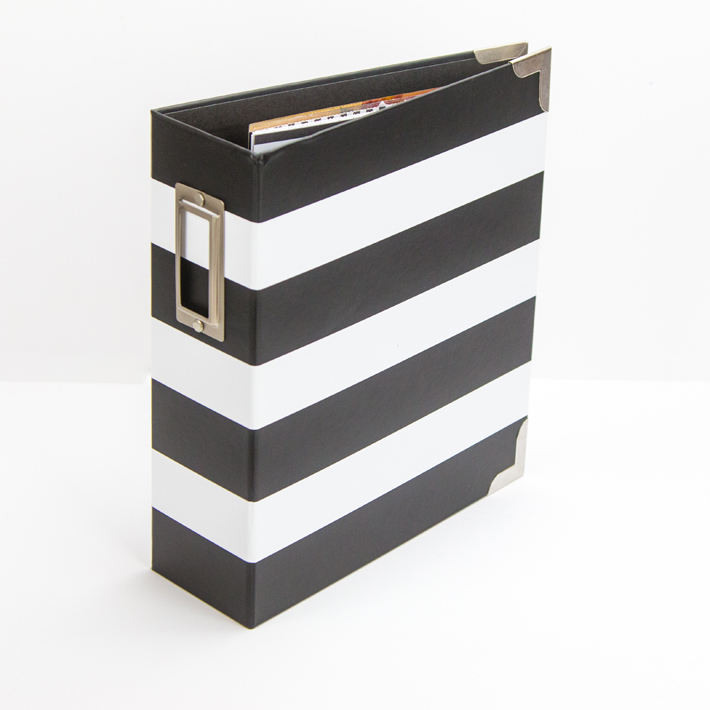 Memory Planner Boxed Kit Black and White - This personal sized planner is for those that would like smaller rings, something that they can carry with them in their purse, along with that Heidi Swapp signature black and white stripe! 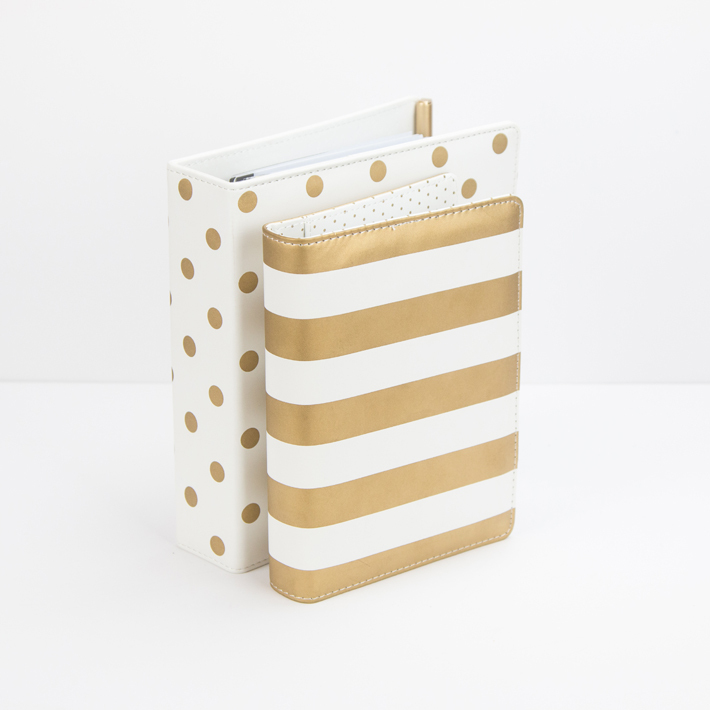 The layout is similar to the Gold Stripe Personal Planner yet comes with acetate dividers and an acetate dashboard. 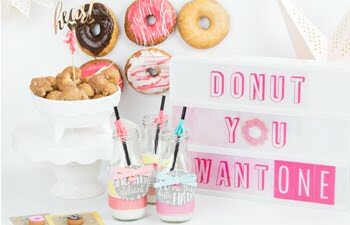 This kit comes with stickers, a washi pages, paper clips, labels, date stickers, cards, and a small paper pad. Let me just say the items in this kit make me so happy; I love them. This is what I use as my personal planner. Both Boxed Kits are shipping to independent and online stores in March 2016 all over the world. 3. 6x8 Memory Planner Gold Dot with Gold Foil - This gold polka dotted planner has larger rings than last year's traditional memory planner. It has beautiful gold foiled pages and dividers. The dividers are a smooth thick cardstock. Pocket pages are included for each month and the inside pockets are wider for more storage. I use this as my Memory Planner. I write "one little thing everyday", add photos, and document my life here. 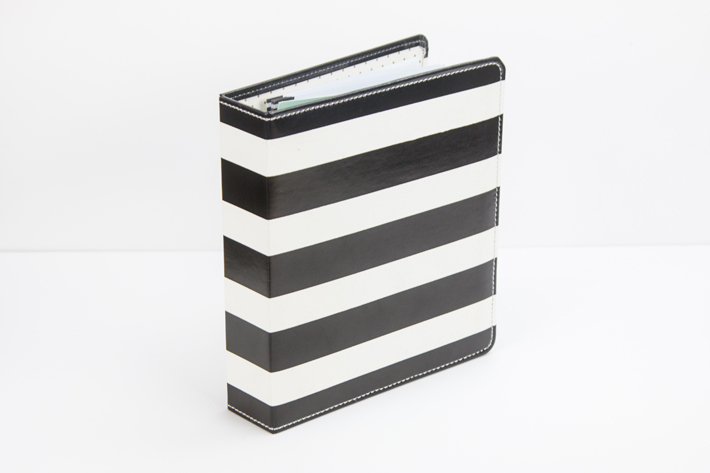 This planner can be found at independent, online, HSN, and most Michael's Stores. 4. 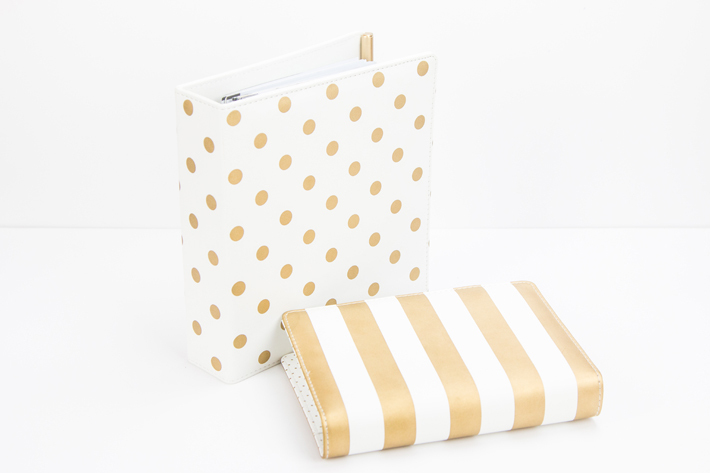 6x8 Memory Planner Gold Stripe (not pictured) - This Gold Stripe album is exactly like the Gold Polka Dot planner, but without gold foil. Everywhere the polka dot planner has gold, this planner has black instead, which gives it a completely different look. This planner can be found at independent, online, and most Hobby Lobby Stores. 5. 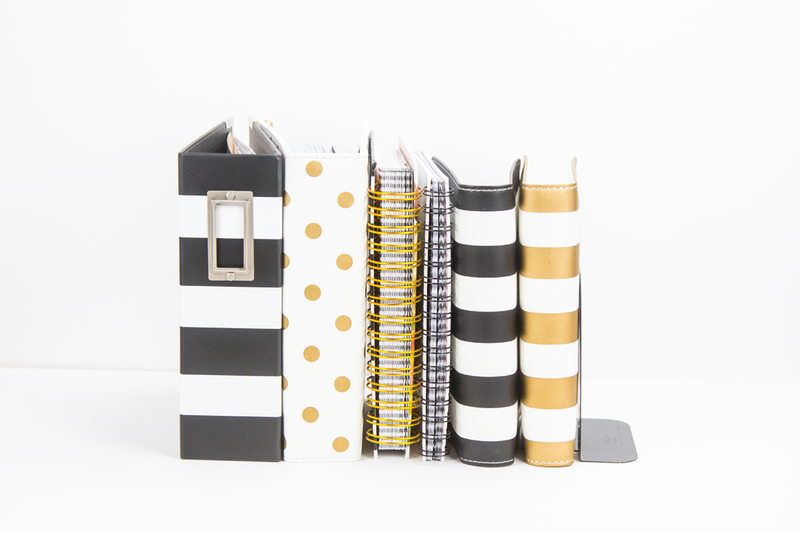 4x6.5 Personal Planner Gold Stripe with Gold Foil - This personal sized planner is the same size as the Black and White Striped Boxed Kit with a few additions. The dividers are a smooth thick cardstock with gold foil throughout. The planner comes with a clear acetate dashboard and each month comes with a pocket page to add photos to. The weekly layout does look slightly different to the black and white stripe but not extremely different. Both come with the same weekly view days on each page which is convenient. 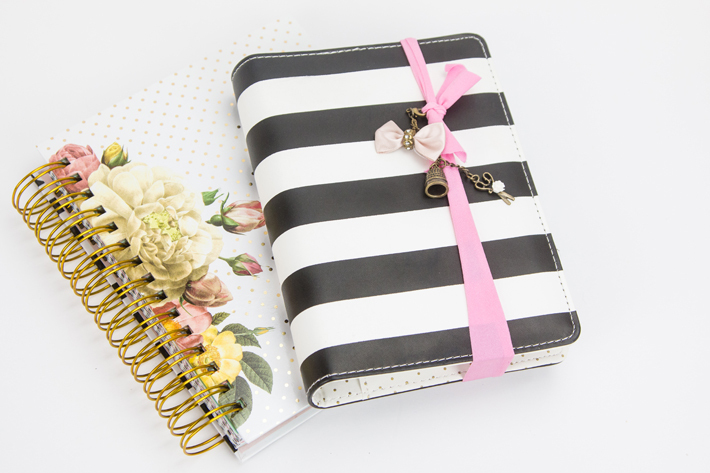 This planner can be found at independent, online, HSN, and at most Michaels Stores. 6. Instax Memory Planner Boxed Kit - This spiral bound album boxed kit is exclusive to Michaels Stores and can be found in the scrapbooking department with the Instax cameras on an endcap. This hard covered album has gold foil on the front, back and inside covers. The kit comes with the most beautiful gold foiled clear stickers including the month's. This kit does not come with date stickers, but I just purchased the Clear Date Stickers elsewhere and they fit in this planner as well. The layout is completely different which I love and use it for my daily scheduler planner. It is small enough to bring it along with me if I wish. Mostly, it sits right at my computer desk and keeps my to-do lists in order! You can find this planner kit at Michaels Stores. 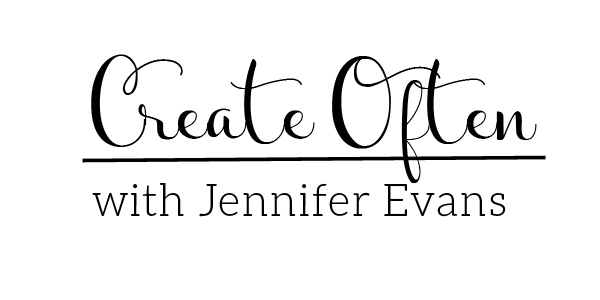 Create Well: Document your everyday because it matters.